Hello girls! We are happy to dedicate this game to all the design games lovers. Have you ever dreamed to make your own dress? If the answer is yes then this design game will give you a little taste of what do you have to do when you want to become a designer. 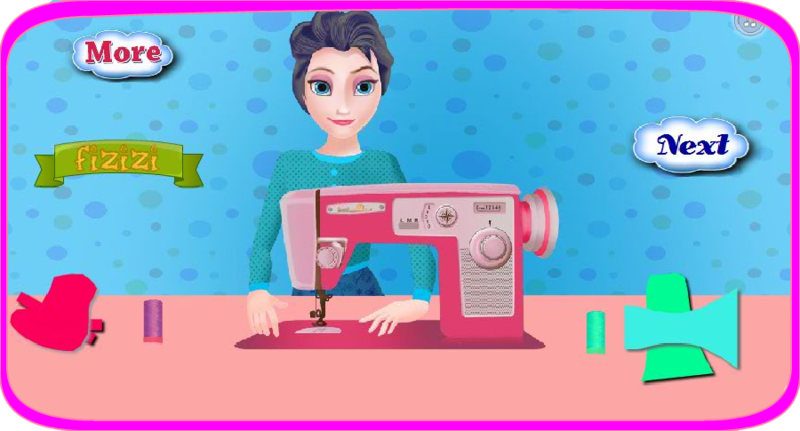 This design game has some simple steps that you have to follow in order to create you dream dress. The game starts when our character Elisa realize that she needs a new dress for the a special party so she decides to make one on her own. The second step that you have to make in order to design your dress is to find the correct parts of the dress and then we arrive at step number three. In this step you need to find the correct fabrics for your dress. After that this design games continues with measurements. You will have to measure the shoulder length, upper body length, bust , hips and finish with out seam. The step that follows is the one where you need to draw the shapes with a pencil on the fabric and then cut it with the scissors. And like in all the design games out on the web , it comes the part where you need to sew the fabrics and complete this awesome dress. The game finish with some cool accessories that you can add to make this dress more fashionable and pick some shoes to be in accordance with the dress and then you are DONE! Congratulations now you are a true fashion designer. Thank you for playing our design games . We look forward to hear your feedback!